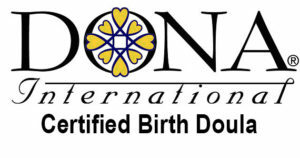 I am a certified birth and postpartum doula and lactation educator. My commitment as a doula is to ensure you have the birth you envision. It is important that you are comfortable and confident in your choice of doula. Every labor and every birth is unique; my commitment is for us to work together as a team. Confidence as a birthing mother will be created with education and knowledge. Fear and uncertainty can appear; knowledge and confidence are the perfect tools to address this. Whether your path includes meditation, medication or both, you can count on the birth to be what you design for you and your child’s birthing experience. My studies include prenatal yoga, breath work, pre/postnatal nutrition, hypnobirthing and lactation, so if you see support enhancing your early motherhood experience, I can see you through. “My nature is calm and present; these abilities will serve you and your partner in keeping the course you have chosen while allowing you be in your experience.”. After spending 2 years volunteering in the Labor and Delivery Department at Cedars-Sinai, I understand the policies of hospitals and can work with them to advocate your delivery the way you choose it to be. 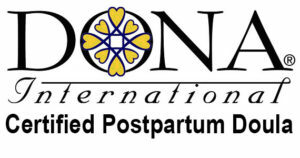 The benefits of my role as a postpartum doula include successful breastfeeding, connective bonding with your baby, and management of daily life during the transition you will have welcoming your new addition. Postpartum support will also be infused with caring for and nurturing yourself while caring for your newborn. Contact me to set up a free consultation and talk about your upcoming birth.